The owners of the methodologies are not big text book publishers like Harcourt, SRA, etc that can afford lobbyists to push state politicians and administrators to approve their curriculum. Publishers make money by selling hundreds of thousands of text books. There have been cases all over the country where the few parents who do fight back win when it comes to poor reading instruction. Even the dimmest hearing officer recognizes a child that can’t read! With so much evidence available, one would think public schools would get the message, but they don’t. 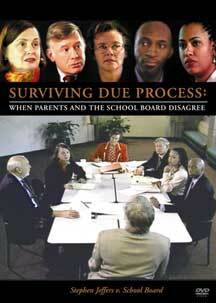 Right now the deck is very much stacked against parents with the Office of Administrative Hearings in California. School districts win about 90% of the time. But even in that poisonous climate, a San Francisco Unified School District’s “legal expert consultant” took a reading case to Court and lost. This student won 200 hours of Lindamood Bell tutoring. Is this how we spend money from the “rainy day” education fund? How much did this trial cost? Wouldn’t it be a better idea to teach children how to read? While politicians, educators,and administrators argue over reading, few listen to the sound, well researched International Dyslexia Association. With the advent of MRI’s, whole new waves of understanding and research about how well these methodologies work have been published. 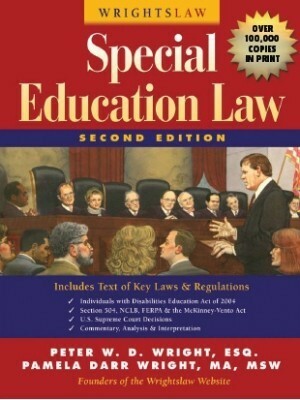 There have been articles in Newsweek, great documentaries of powerful evidence of neuroscience but the public school officials and college special education departments still don’t pay attention. No Child Left Behind (NCLB) demanded evidence based reading programs with research behind them. Great idea. Except all kinds of educational publishers eager to get their piece of the money pie, came up with watered down text books and programs claiming to have O-G traits pushed their wares on gullible public school administrators who do not have the knowledge to be educated consumers. Publishers were just interested in just making money. School district administrators do not understand the difference between the “at risk” population vs Specific Learning Disabled population. It’s a local and national shame. 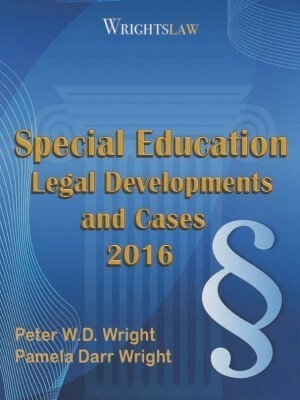 This entry was posted in Advocacy, Learning Disabilities & Dyslexia, No Child Left Behind, Reading, Teachers and tagged Dyslexia, IDA, Lindamood-Bell, Methodology, NCLB, Orton Gillingham, Reading, Shannon Carter, SLD by Wrightslaw. Bookmark the permalink. Not requiring a single course that covers evidence based intervention for dyslexia, To me, is like not requiring a credentialed teacher for the blind to learn how to teach Braille. There must be a huge financial incentive for colleges /universities to ignore the importance of evidence based interventions. .
Read the book noted below to learn what programs are effective and why. It will also explain the difference between research and evidenced based. One of the best books I have ever read about HOW reading develops and What to do when it doesn’t. This is not a book that is selling any particular program. 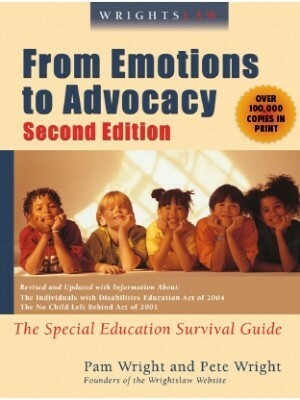 I am a special educator in a Southern California district and several years ago our district began a pull-out reading intervention program to address the needs of special education students with pervasive reading difficulties (which, as you state in your article is the vast majority). Our district invested in training in Lindamood Bell, Wilson among other programs for a few dozen teachers over several years. We maintain 3-1 ratios in our classrooms and use an online progress monitoring system to track student growth. This program has been truly transformative for teachers and students alike. While a bright spot in an often dismal system, it’s a shame that more students and teachers aren’t offered the opportunity to teach/ learn in environments truly structured to meet student needs. What you are sharing is great, & needs to be shared with educators, & parents to encourage them to also request & do this!! So glad to hear some schools are doing something right for students with dyslexia. 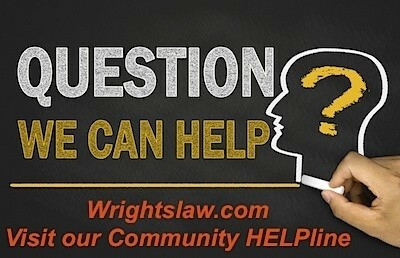 In Southern California low income families can receive very low cost legal consultation and possible legal representation through The Learnings Rights Law Center in LA. Please spread the word to families. These services were a life line for my son who has severe dyslexia. As someone who learned O-G when it was taught by mentoring, and having taught at a specialized school for dyslexic children, I can vouch for the efficacy of O-G. There are problems in implementing the O-G and the better derivatives of that approach. 1)O-G was originally designed for adolescents who are bright and failed to learn to read despite the use of more traditional approaches. Many dyslexic kids to not have the set of cognitive skills that enable them to generalize and selectively apply the linguistic underpinnings of O-G. For those students, Lindamood-Bell may prove more effective. 2) In order for either approach to be effective, the specific learning needs to be transferred into curriculum materials and reinforced to the point of automaticity, with supervision and skill. Riggs Institutes “The Writing and Spelling Road to Reading and Thinking” is another program to add to the list. Don Potters website references other programs as well. These discussions always amuse me. The fact of the matter is, noone asks the question, “If the system uses ONLY evidence-based programs, why are the results STILL so low?” Answer? Research, by virtue of it being research, has to have controls. Variables are weeded out as best as possible. Therefore, the students that have the most challenges in the schools probably are not part of most evidence research, thats just the reality. When evidence-based becomes a term that properly explains what is needed, just ordinary, day to day, in the trenches data that something works, then maybe we will see a rise in data numbers. John nailed it: If the system uses evidence-based programs, why are the results so poor? Two reasons — Like he notes, not all children fit the particular research studies being done. And no classroom teacher has time to do one-on-one with a child. Even identified dyslexics are just pulled out of class and put in a small group doing exactly the same thing that already failed them, but at a more intense level. The elephant in the room is this: PHONICS and phonemic awareness DOESN’T ALWAYS WORK for dyslexia! In fact, it often doesn’t work. There’s a lot of research out there that is newer and more helpful than Orton-Gillingham. Hi Yvonna, what research and what newer programs? I am very interested in finding something either as an alternative or supplement to Wilson for a severely dyslexic with central auditory processing disorder. The one program suggested has been LiPs by Lindamood Bell. Thank you! Have you looked at Slingerland? It uses OG methods, but it’s not Wilson :). They don’t use evidence based approaches. That’s the whole point of this article – we have all this research proving what works and then refuse to utilize said research. Schools still use whole word teaching of reading or don’t train teachers properly with OG and then state it doesn’t work. Those teachers using OG with fidelity are seeing results; it’s sad these teachers are few and far between. It’s a very shocking fact. Reading disorders is a threat for students. The conclusion is we back to use the O-G methodology in order to increase reading scores among dyslexics students, should we? Davis Method – Karen S, this is interesting. I agree. My son was taught to read via a one on one tutor that the school paid for & learned to read via the Alphabetic Phonics method. There is a great book that you can get at the library “Understanding Dyslexia” by Sally Shaywitz. This helped me find a path for my son. The Davis Method hasn’t been mentioned. It’s the only one that has worked for my son. It has brought him up in reading and math within a short period of time compared to other methods. There is no phonics or phonemic awareness in the method, but it works. I think it is not catching on bc there has not been much research conducted to support the great outcome the program provides. It is very intensive and not cheap, but my son learned the alphabet forwards and backwards within a week. Before that special ed in the public school only did Wilson Fundations with him–a total waste of his time and tax payers’ money. Why programs that work are not funded bc of “lack of research” is beyond me. Often enough the schoolbook publishing corporations are the ones behind the “research” that supposedly works. Not very objective IMO. Do what works! Fundations is not the Wilson Reading Program recommended for dyslexic students by Wilson. 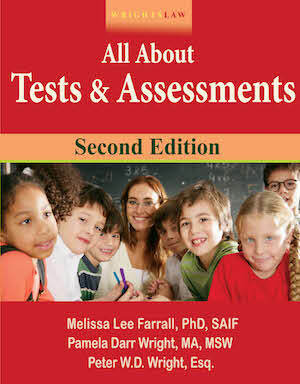 Wilson Reading System (WRS) is their program that is for intensive intervention geared for dyslexic students. Wilson’s research results for effectiveness of their program for the dyslexic student are based on the WRS and not Fundations. Sp Ed doesn’t even know the correct Wilson program to use for dyslexic studens! Karen, we also used the Davis Method when my nephew a was 8 – 9. He loved it, we saw huge improvement, he saw improvement, as did the school. He did it very early on, 8 years old. Now we are looking for another program to pick up where the Davis Method left off. Davis is controversial for some. I’ve often told people to read the Gift of Dyslexia. You’ll either identify with what the books says, or you won’t. If can’t identify with it, it probably isn’t for you or your child. We are VERY thankful we found it. Just as the article states the public school system is only using traits of Orton-Gillingham and sometimes. 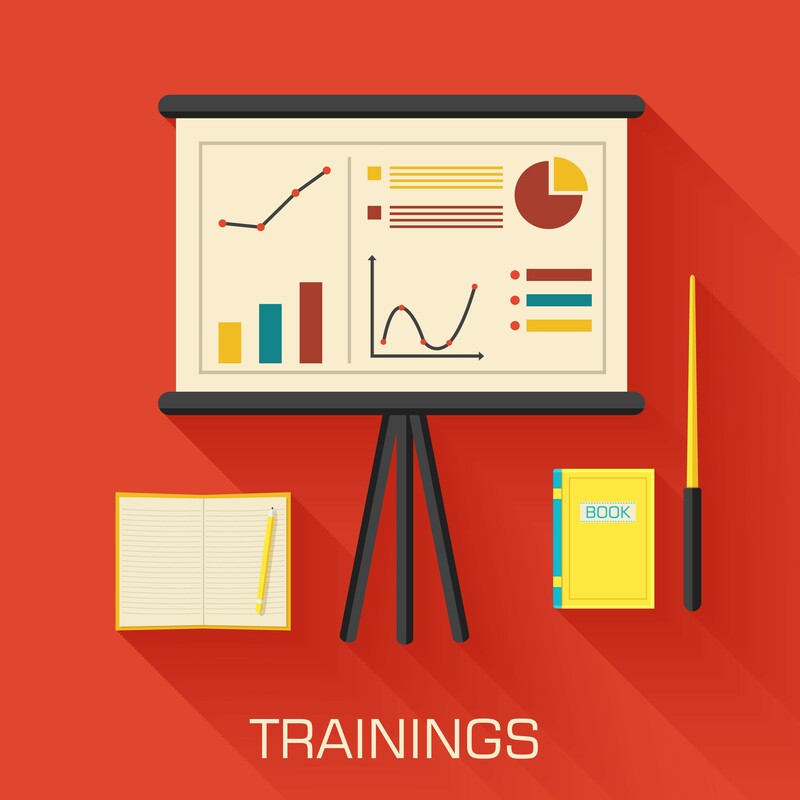 The article clearly explains lack of training on methodologies in universities. The disconnect is understanding the undeniable importance it plays in 100% reading success. Once an educator receives the trainings and certifications in approved methods they have a life changing experience as they view reading in different light. A child can not receive a quality education without a strong literacy foundation. 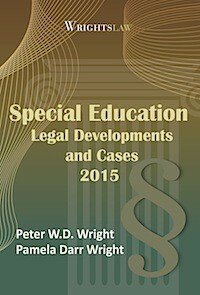 Texas is the leader in dyslexia laws, the most successful districts use Take Flight & DuBard. The s&l paths use LMB. I am trying to find any written evidence that the read 180 program does not work for kids with dyslexia. I already know it does not and believe of course in Orton-Gillingham and Lindamood bell approaches. We are currently in a battle with the district. Would love any documented info on this. .
You can use these references to track down more helpful info. Let us know what you discover. Laura, I think we are in a similar situation. My son did Read 180 because it’s all the district had to offer. His lexile improved but his reading and writing did not. Math 180 was worse. Have you had success with your challenge to the district? Me too! My son was diagnosed with dyslexia and the want to offer him read 180 or system 44, not Wilson I really need help! I was disappointed that this turned into an advertisement for Lindamood-Bell rather than address the problem of graduate school reading instruction. I expect more from Wright’s Law. These types of material turn teachers off to taking the time to read them and as a result there is no movement forward in their knowledge base or teaching skills. LM-Bell is mentioned because it works! We have many living proof examples! But so does Orton-Gillingham! that too is mentioned because it works! If not LM-Bell, then do Wilson…O-G, but not another publisher-type “program” that is not evidence based and is not a direct, explicit, systematic, cumulative, and a multi-sensory one-on-one approach. Part of the Curriculum for earning a Reading Specialist cert. in school districts needs to include knowledge and training not only in these methods/programs, but understanding of how the brain processes language/information so that they can put the children’s needs into the context of that knowledge. That is how we can equip our teachers with more appropriate toolbox to help these kids. Is it about what really works for your individual child and his/her learning profile? I know middle school kids who receive a late diagnoses of dyslexia who cannot tolerate the laborious nature of OG or even a program like Wlson though it could greatly benefit them. Some of them start to experience success in other programs and the focus also is on their compensatory skills, self-esteem building, progress monitoring and finding a program that THEY are willing to invest in. It may not be OG. It may be a Read180 (dare I say) but it works for some kids. I would like to see more discussion on older kids with a late diagnoses of dyslexia. That is the reality for many kids. Not every child has access to OG or even committed teachers who want to use it once trained. The Barton System works. It is designed so that most adults can tutor their own children. Or you can hire a tutor trained in Barton System. Check out Susan Barton’s website. Full of good info. Lindamood-Bell is NOT Orton-Gillingham. Their own site states this. In the past two years I have had eight students who completed the entire Lindamood-Bell series and were still struggling (these students were in 4th grade or odler). After OG instruction, there was huge improvement. At the IDA conference this past fall, there was a presentation about the effectiveness of programs for dyslexia and although LMB provides great results for very young students, the gains diminish as the child gets older. I suspect that this is because the methodology does not work once vocabulary/word construction becomes more complicated. Alberta, I just saw post. Review the test results and call the publisher of the program for clarification. The school should not use the SRI scores to determine grade level reading, My child is in the 7th grade with dyslexia that was not diagnosed until his 6th grade year–long story. We moved to a new school district and she was given the SRI, with other assessments, which resulted in her going into System 44 and other programs. The teachers made it very clear to me that the SRI does not determine grade level reading. There is also Read 180. My child is going to college and uses assistive technology. Beyond SRI, are you looking at transition planning for her, interests inventories, etc? Call your state parent advisory center. We used web based Lexia at home for her. My child is in 7th grade and cannot keep up with or comprehend the reading (now fiction novels at 7th grade level) in her class enough to answer the questions following each chapter. She has been diagnosed as dyslexic and has begun receiving private tutoring in the Orton-Gillingam method, which is beginning to help her. The school says they tested her using the online test by Scholastic Reading Inventory (where she was allowed to choose the readings and could pick things she had read before). They said the SRI results show she is reading at the 7th grade level. How can that be? There is a disconnect somewhere and no acknowledgment by the school or special ed faculty that she needs help reading help. Is the SRI test flawed or does it not test for issues that would reflect dyslexia or other more specific reading or decoding problems? Wow, am I confused .My degree is in history. I have taught pre-school and first/second grade social studies and art. I am a passionate reader and would love to help kids who are struggling with reading. I have not taught in the public schools and when I look at what they require in terms of course work to become a reading teacher I am overwhelmed. Since I plan to remain in private schools would I find Orton-Gillingham or Lindamood Bell be most helpful to me? I have not used Lindamood Bell, but it is cheaper to learn OG programs. I highly recommend “The Writing and Spelling Road to Reading and Thinking” by Riggs Institute. It is used by a number of private schools. I’ve taught children to read from information at Don Potter’s website, and he has listed some successful programs for dyslexic students, and strategies to prevent whole word dyslexia, like teaching cursive first, even to 5 year olds. Although, unless a child is eager, I would love to see kindergarten, and it’s academic focus, disappear. Rebecca L. First of all you need to prove that your son has not progressed in 3 years by getting the latest evaluation that was done and requesting a new one right away from the school. You can request one per year even though the standard is once every three years. Be sure to put your request in writing and sign the school’s request document so the timeline for them to get the testing done begins. AT that point they need to complete the testing in 60 days. When to meet to go over the testing ( get a DRAFT copy ahead of time so you can compare to the last testing and have a professional look at it to offer information/suggestions). If it is clear that FAPE has not been met you can request a solution to the problem and perhaps a different program. My son was taught Alphabetic Phonics and that worked for him. Help! My son is in 8th grade. He is dyslexic and his district has provided Read 180, in a 45 minute format, for 3 years. He has not made any progress during this time. My contention is that the district has not provided FAPE. The FSRR website notes no negatives to the Read 180 program but it’s based on studies conducted BY scholastic. Are you aware of any outside studies that address Read 180 with regards to efficacy on dyslexia? My son is dyslexic and and did not begin to catch up until I took him out of special education and brought him up to grade level myself using Barton, which is an Orton-Gillinham based system. No one could believe his progress so they put him into Read 180 anyway. His lexile was exacly the same when he finished. He actually shared this at his 504 meeting and was told that some students actually have a lower lexile after completing it. While iRead 180 worked for my nephew who is non-dyslexic, it did not help him at all. I have been trying to convince our schools that is is just as important to help children learn to read in the appropriate way before sending them out into the world, college , etc.,,as it is to help them in the early grades. Unfortunately, they still refuse to see that. I realize that everyone here is commenting on the information delivered in this article – but I need help and do not know where to go! Everything is a dead end!! I have a 13-year old daughter with cp who is nonverbal though can use gestures and signs. The public school system has not done their job – she has no communication device, can’t read, and can’t do math. The teacher doesn’t even seem to know WHAT to do! I researched “research based methodologies for nonverbal children” but can’t find anything useful. Does anyone have any ideas of what I should do? Thank you if you do!! Robin – I googled for you but can’t seem to find a way to contact you. Shawnda, Have you gotten the help you need? Ron, one of my Facebook’s group’s members asked, Where did you get those stats? The report I have is Autistic children make up the most part because most can’t read or take the PSSA. Can you cite the source of your stats? Thanks. I need a best kept secret for our son. He was never in a public school, his first and second year of parochial school did use the Wilson Reading Program and with no progress WE moved him to a Language Based Learning School, The Carroll School, Lincoln, MA. Three years at The Carroll our monies are running out. Are there any parents out there that could share a court case with the same situation to help us out with the fight in our new town. He is headed for the sixth grade and reads at a third grade level. My school district just started using Read180 reading program for high school students. They use Orton Gillingham for first and second grades only. Anyone know how effective this reading program is supposed to be? 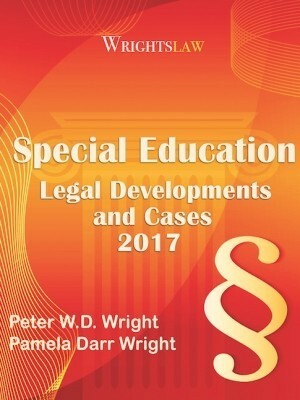 Check this page for information about Research Based Reading programs and Reading Assessments at https://www.wrightslaw.com/info/read.programs.frcc.htm. It will explain how to use the reports and descriptions of reading programs from the Florida Center for Reading Research (FCRR). Scroll down to “Reports on Reading Programs” and use the Summary Table of Reports. You’ll find Read 180. I am looking for a recent case where child was awarded 200 of Lindamood Bell tutoring. 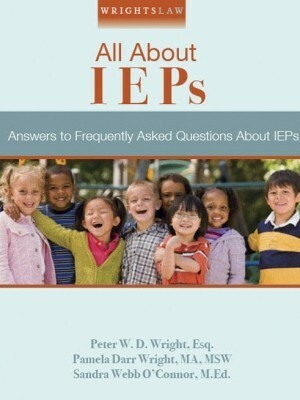 The argument centered around the fact that the goals on IEP were not sufficient nor did they increase with time (ie child not making progress over the years). I’m new here and enjoying all the articles. Just as an FYI, I have been looking at an online Master’s Degree in Special Education program from Saint Joseph’s University in Philadelphia, which includes a Wilson Reading certification component. Ray: The What Works Clearing House is not a comprehensive source of information about research based reading programs. WWCH only provides info about beginning reading programs. The Florida Center of Reading Research collected research on dozens of reading programs for all age groups and classified the programs by category (core, supplemental or remedial, Tier III, etc). Lindamood Bell does have a separate program to address reading comprehension, It is called Visualization/verbalization. Reading comprehension was not the main topic of this article. Without decoding skills, one cannot even begin to comprehend anything! The Lindamood LiPS program addresses auditory discrimination and phonological awareness. Sight words, decoding, and encoding are introduced later in the program but it is primarily designed to address the initial reading skills. It does not address reading comprehension. Reading comprehension, vocabulary development, and reading fluency would be taught with other programs once the child had mastered the stage O reading skills addressed by the LiPS program. This article you refer to did not make a claim that LiPS teaches reading comprehension and neither does Lindamood Bell. It is still the gold standard for teaching phonological awareness. The scientifically based research on Lindamood-Bell does not support the excessive claims made in this article. The What Works Clearinghouse notes that while Lindamood-Bell had a positive impact on some aspects of phonemic awareness, it had no significant impact on reading comprehension. This post is dead on the money. I see it every day. 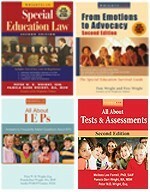 A publisher posts on their website and marks on the box that their “materials” are packaged in that the curriculum meets the 5 criteria set forth by the National Reading Panel as necessary components of an effective reading program, and school districts will buy it hook, line and sinker, without even looking at or for the research. In special ed even when a decent multi-sensory program is used, school districts will just buy it, plop it in the special ed teacher’s lap and tell her to use it, without any training whatsoever.